For more than 15 years in Cartagena, Dental Spa Dental Specialists have been well-known among Cartageneros and tourists looking for experienced professionals. The comfortable, new clinic in Castillogrande is considered one of the finest in the country due to its infrastructure. State of the art technology such as the digital maxillofacial oral x-ray allows the dentist to diagnose, plan, and complete dental treatments with success. Dental Spa Specialists guarantee the use of high quality materials and personalized attention. Service is offered to patients from Monday to Saturday. The expert staff includes: Carlos Diaz Garcia, Ortodontist; Gloria Gonzalez Corrales, Odontopediatrics; Guido Benedetti Angulo, Oral Rehabilitation; Yomora Lacouture Meza, Oral Rehabilitation; Yadira Herrera Hurtado, Periodontist and Implants; Carlos Corrales Pallares, Endodontist; Eduardo Covo. If you are in need of great dental care, dental surgery, from a quality dental clinic with years of experience, contact Dental Spa Dental Specialists in Cartagena Colombia. 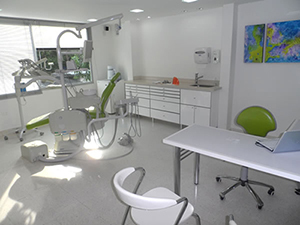 Our dental practice is founded on the best dental care available in Colombia. 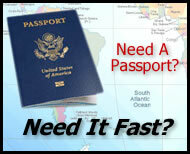 You won't lose quality when travelling to Cartagena to see Dr. Frieri and his well qualified staff. In fact, many Americans boast of better care, less pain, faster healing, and much more bang for their bucks, after seeing Dr. Frieri. Part of the reason is that Dr. Frieri believes in using the best equipment available. You will find only state-of-the-art imaging and dental equipment at Dental Spa Dental Specialists. The office is immaculate, and you just get this feeling that the people here are some of the best in the world, let alone Cartagena. If you are one of those people who absolutely fear going to the dentist, don't feel alone. Dr. Frieri and his staff are well known for turning worried frowns into happy smiles, gently, quickly, and with more than a touch of friendly professionalism. Many patients have left their fears behind because of Dr. Frieri, gaining confidence with their new smiles. As one woman put it, "I was always afraid of the dentist, and I never thought that I would be able to go without being uncomfortable. Now that I see my new smile, I wonder why I felt that way before."